Shemia Fagan hails from Portland Oregon, where she is is a partner at HKM Employment Attorneys. 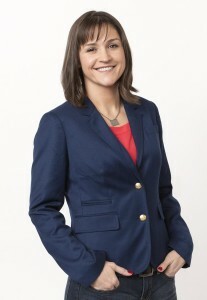 Shemia is recognized as “The Working Parents' Lawyer” because she focuses her practice specifically on workplace challenges facing other working parents, including wrongful termination based on pregnancy discrimination, family leave, sick leave, sexual harassment, and marital status discrimination. Shemia was recently honored with the Portland Business Journal’s Top 40 Under 40 award, and recognized as a Rising Star by Super Lawyers national publication. As if that is not enough, Shemia is also an Oregon legislator serving her second term in the Oregon House of Representatives. She serves on the Business and Labor Committee and as the Chair of the Consumer Protection Committee. Shemia lives in the Portland suburbs with her husband, son, two dogs, and two cats. As you can imagine, Shemia is commonly asked, “How do you do it all?” The answer (until she discovers more than 24 hours in a day) is her devotion to time management principles. “Devotion” is a nice way to characterize her obsession, others might say she's a productivity zealot. Either way, she is on a perpetual quest to work smarter so she can play harder. That is why she shares time management tips for other lawyers as The Efficient Attorney on Facebook.